NEW YORK CITY — At media luncheon hosted by the Jamaica Tourist Board on Tuesday we learned the country could open its first casino as early as the end of this year. We’ve been following Jamaica’s plans to legalize casinos in its country since the news first broke roughly a year and a half ago, but it looks as though plans are finally coming to fruition. Edmund Bartlett, Jamaica’s minister of tourism, says legislation to approve casino gaming may be approved by the first quarter of this year with the first casino in operation at the end of 2010. 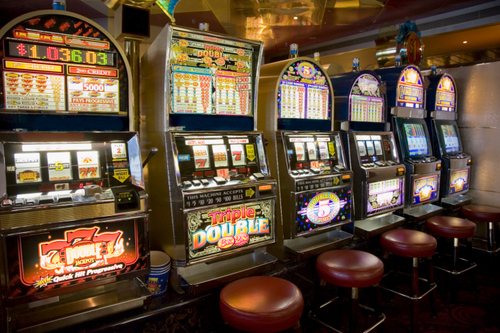 The governemnt, Barlett told us, is currently ironing out details and regulations about the facilitation of casinos and which companies would get approval to build them. Some things that we already knew are that there are currently three developers, including Harmony Cove and Celebration Jamaica, that are interested in building casinos. All three, as well as any other casinos in the future, will not be standalone operations, he says. Bartlett also says that, unlike most Caribbean islands that allow gaming, locals will most likely be allowed to gamble if they wish, but will be discouraged to do so. Bartlett added that, although the country doesn’t want to exclude its own people from a right they will offer to tourists, Jamaica is also looking into ways of “making it less attractive for Jamaicans to come,” meaning that the country will only have casinos in places where locals are less likely to congregate. Although there is no official cap on the number of casinos that will be allowed in Jamaica, three seems to be a number that will be around for a long time with one casino planned to open in Montego Bay, another in Ocho Rios and the last on the southern side of the country.